How does school-wide PBIS relate to the prevention of bullying behavior? From a school-wide PBIS perspective, successful prevention of bullying behavior is linked directly to teaching adults and students (a) what bullying looks like, (b) what to do before and when bullying behavior is observed, (c) how to teach others what to do, and (d) how to establish a positive and preventive environment that reduces the effectiveness of bullying behavior (Ross, Horner, & Stiller, 2009). Learn more about EGUSD’s efforts to define and prevent bullying at our elementary school sites. An Imbalance of Power: Kids who bully use their power – such as physical strength, access to embarrassing information, or popularity – to control or harm others. Power imbalances can change over time and in different situations, even if they involve the same people. How often specific bullying behaviors (e.g., verbal/physical aggression, intimidation, teasing) were occurring. Where those behaviors were being reported (e.g., hallways, parking lots, cyberspace). How many and which students are involved in displays of bullying behavior (including students who are targets and/or observers of bullying behavior). Which staff members have been involved in bullying behavior incidents. When during the day (time/period) and week are bullying behavior being reported. Taught, provided practice for, and acknowledged the behaviors that represent three to five positive school-wide behavioral expectations (e.g., “respecting self, others, and environment;” “safety, responsibility, and honor”). Actively and positively supervised all students across all school settings. Had high rates of positive interactions and contact with all students. Arranged their instruction so all students are actively academically engaged, successful, and challenged. How to avoid situations where bullying behavior is likely. How to intervene and respond early and quickly to interrupt bullying behavior, remove the social rewards for bullying behavior, and prevent bullying behavior from escalating. How to remove what triggers and maintains bullying behavior. How to improve the accuracy, fluency, and sustainability of implementation efforts. What to do when prevention efforts do not work. How and what to report and record when a bullying behavior incident occurs. Step 4. If Steps 1 through 3 are done well, a relatively small proportion of students (initiators, targets, bystanders) will require more than Tier I supports. These students should not receive more of the same ineffective strategies, especially, more severe consequences. Instead, students whose bullying behavior does not improve should be considered for Tiers II and III supports. These supports would be initiated by increasing consideration of behavioral function or purpose (e.g., “bully behavior results in access to bystander, target, and/or adult attention;” “target behavior results in access to peer and/or adult attention;” “bystander behavior results in access to initiator attention”). Based on the function of a student’s behavior, students would (a) begin the day with a check-in or reminder about the daily expectations; (b) be more overtly and actively supervised; (c) receive more frequent, regular and positive performance feedback each day; and (d) conclude each day with a checkout or debriefing with an adult. More intensive supports would be highly individualized, multi-disciplinary, trans-situational (i.e., school, family, community), and long-term. Accuracy and fluency of implementation are monitored frequently and regularly. Behavioral data are reviewed regularly. Intervention features are adapted to improve outcomes and sustain implementation. Efficient and expert capacity is established to enable consideration of new or other behavioral concerns (scaling and continuous regeneration). Parents are a key component in the fight against bullying and cyberbullying. Please take a look at the links below for more information on how to recognize the signs of bullying and the steps you can take to help prevent this from happening to your child. Click on the settings gear wheel if you would like to turn on subtitles/cc. 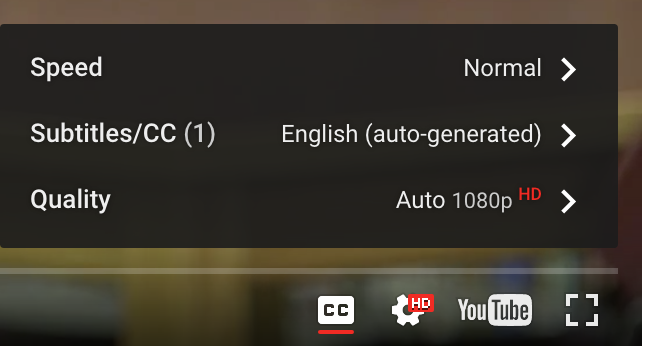 To choose a different language, click subtitles then click English then chose auto-translate to see a list of languages.